And you thought you were Normal? 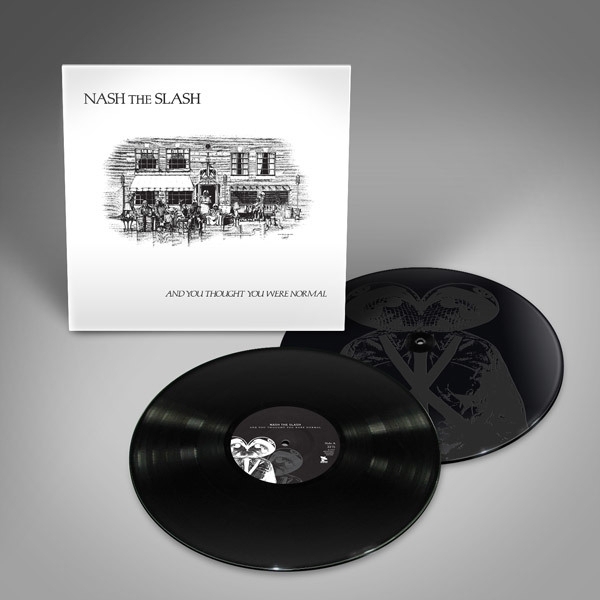 One of the greatest NASH THE SLASH albums now gets a vinyl reissue through Artoffact Records, including bonus tracks. The expanded vinyl edition comes on two LPs and includes a bonus Ab-Normal etching on Side D! And You Thought You Were Normal was Nash the Slashs second full-length and at the time blew away expectations of what a sophomore album could bring. With the radio hit Dance after Curfew and the incredible Vincents Crows alone, Nash cemented his cult status as an 80s new-wave legend. It is hard to imagine in hindsight that it would be his last original full-length for nearly a decade.